A new year means more theater. Mark your calendars - we have a few ideas which shows you won't want to miss in Washington County. • "Steel Magnolias" reels in the nostalgia from the play-turned-movie from the late 1980s. Many remember the performances of singer Dolly Parton and veteran actors Shirley McLaine, Sally Field and Julia Roberts as they navigated their eccentric, personal dramas in small-town Louisiana. 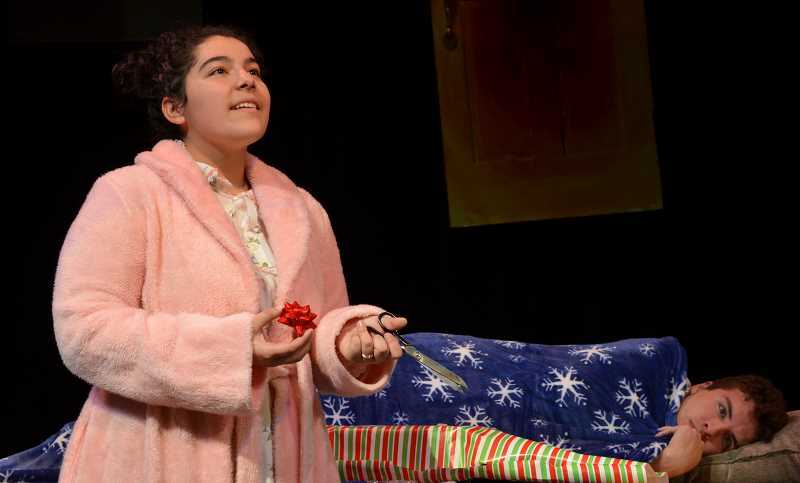 The classic takes to the stage in Forest Grove, as performances kick off Friday, Jan. 18 until Feb. 3 with shows at 7:30 p.m. on Fridays and Saturdays, and 2 p.m. on Sundays. • "Stuart Little" is everyone's best friend since E.B. White, famed author of "Charlotte's Web," introduced the critter in 1945. Theatre in the Grove is bringing the children's classic with promise of nothing short of family fun. With performances beginning March 1, audiences have a chance to catch the mouse in town until March 9. Friday and Saturday performances start at 7:30 p.m. and Sunday performances start at 2 p.m. Ticket prices: Tickets are $16 for adults and $14 for seniors (60 and over) and youths (17 and under). How to buy tickets at Theatre in the Grove: The box office is open on Wednesdays from 11 a.m. to 1 p.m. and one hour before each performance. Buy online at theatreinthegrove.org. • "SoloFest" shows performances by artists with experiences not usually shared in Washington County. The festival celebrates diversity, allowing solo performers to share their stories from Feb. 7 to Feb. 10, with two performances per evening on rotation at 7:30 p.m. for all dates and 2 p.m. on Feb. 10. 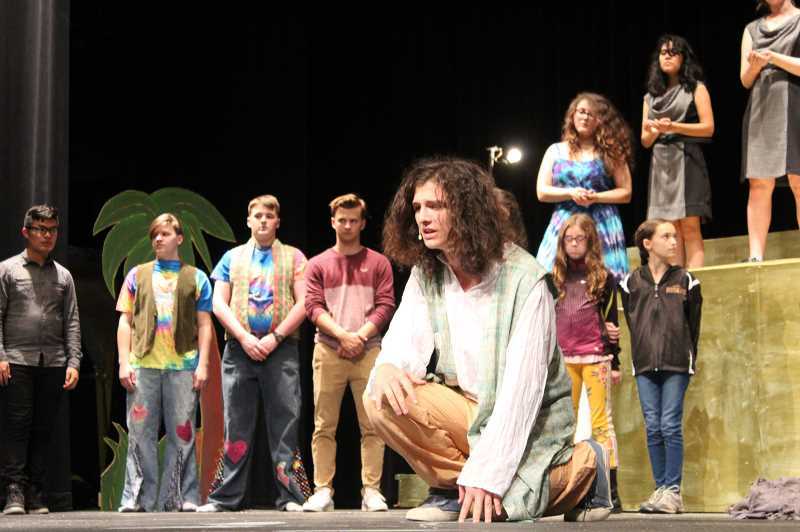 • "The Island in Winter" is the world premiere of a Shakespeare adaptation of "A Winter's Tale," written by Hillsboro High School graduate Carlos-Zenen Trujillo. Funded by The Problem Play Project, a three-year project asking playwrights of color to write reimagined Shakespeare works with a focus on diversity and equity, Trujillo's bilingual play already has national attention and speaks to the Cuban-American experience, director Scott Palmer said. 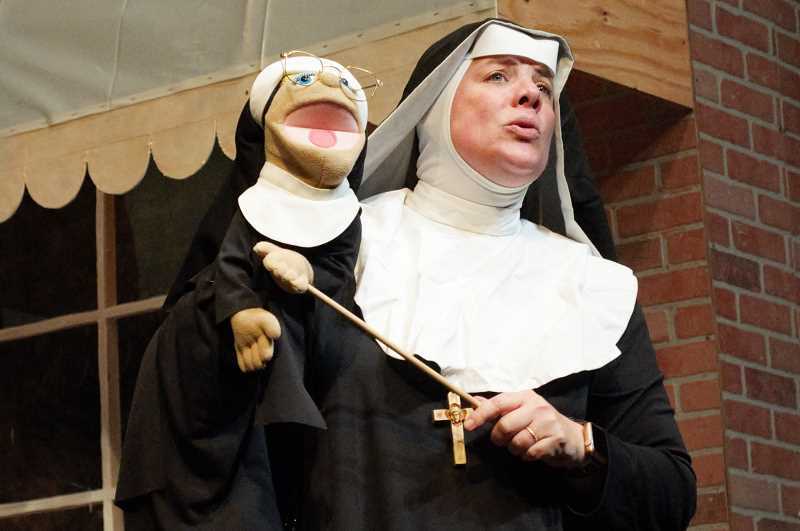 Performances run from March 7 to March 24 at 7:30 p.m. and 2 p.m. on Sundays. • "Peter/Wendy" is the final production of Bag&Baggage's 2018-19 season. "It is the perfect show for Bag&Baggage because it is an exploration of Western literature in a very innovative and provocative way, digging deep in a story we think we know," artistic director Scott Palmer said. While it takes on the J.M. Barrie classic of "Peter Pan," this show is not for children. Performances run May 2 to May 19 at 7:30 p.m. and 2 p.m. on Sundays. Ticket prices: "SoloFest" is $10 for general admission. "Peter/Wendy" and "The Island in Winter" adult tickets cost $32, and student and senior tickets cost $27. How to buy tickets: Visit bagnbaggage.org. • "A Doll's House" is a three-act play by Henrik Ibsen, first published in Norway in 1879, portraying a married couple undergoing ups and downs in the midst of the turn of the century. This drama arises on Feb. 8 through Feb. 24. • "Arsenic and Old Lace" is dark comedy in its purest form, first written in 1939 before blooming into a silver screen favorite starring Cary Grant in 1944. If you want laughs with a touch of murder, HART Theater performs the show March 15 through March 31. • "A Funny Thing Happened on the Way to the Forum" is an absurd musical in ancient Rome, with themes of love, mistaken identity and slapstick. With satirical commentary on social class, HART Theater is serving up hard-to-miss comedy from May 24 to June 16. Ticket prices: Plays cost $16 for adults, $14 for ages 60 and up and students and children for $12. For musicals, adult tickets cost $18, ages 60 and up cost $16 and students and children cost $14. Group rates for 10 people or more are $2 off a ticket. How to get tickets: Tickets are available online at hart-theatre.org or at the box office an hour before the show. • "Les Misérables" captures the dramatic, melodic events surrounding revolution in 19th-century France. Not only is this a musical many seasoned actors work their way up to, but it is a story STAGES Performing Arts Youth Academy isn't shy of taking on with its youth cast. Listen to numbers like "Do You Hear the People Sing?" and "I've Dreamed a Dream" when performances begin Jan. 4, running through Jan. 20. The show will be on Fridays and Saturdays at 7 p.m., and Sundays at 2 p.m. for $15 for adults and $13 for seniors and students. •"Honk!" is the musical retelling of the fairytale "The Ugly Duckling," a favorite for school-aged children. While the dates are to be determined, audiences can expect STAGES to perform in April 2019. Ticket prices: Adult prices are $15, student prices $13 and senior prices $13. How to buy tickets: "Les Misérables" tickets are on sale online at stagesyouth.org. • Shakespeare is here this spring as Liberty High's second performance of the season focuses on the love tale, "A Midsummer Night's Dream." This comedy will be bilingual and filled with dance, song and multimedia. Performances from April 1 to April 20 and April 25 to April 27. Times and ticket prices to be determined. How to buy tickets: Visit hsd.k12.or.us/Page/2419 closer to the performance dates. • "Legally Blonde: The Musical" is Glencoe High's drama department going back to school with Elle Woods, a woman aspiring to win back her ex by attending Harvard Law. Glencoe High School drama teacher Lori Daliposon said,"'Legally Blonde' is a total delight. It is smart and funny and a wonderful chance for the talented women of Glencoe to shine in a musical that shows power comes in all packages. 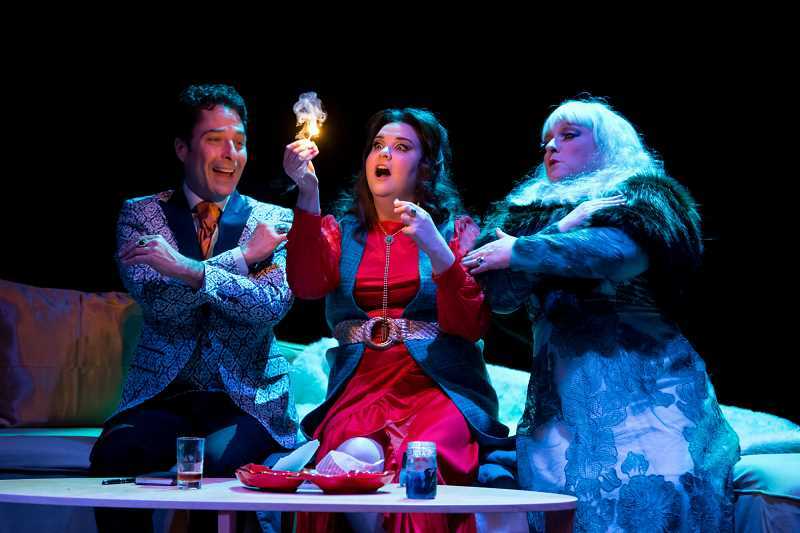 Through all of the glitz, glam, and fun (and there is plenty of that), I hope that the empowering message of the play resonates and persists for the women on stage and in the audience long after the show ends." n An original interactive murder mystery, the theme to be determined, allows the students to be a part of a "whodunit" production. In the past years, Glencoe High hosted a wedding, a game show, a dog funeral and more. Bookmark April 19 and April 20, time to be decided, if you want to witness the fun. Performances run from Feb. 21 until March 2, with shows at 7:30 p.m. Ticket prices: $12 for adults, $7 for students and seniors purchased online. At-the-door tickets are $15 for adults, $10 for students and seniors. How to get tickets: For "Legally Blonde: The Musical," reserved-seat tickets may be purchased in advance through SHOWTIX4U.com beginning in January or at the door. • "Macbeth" has a reputation in the theater scene: It is considered taboo to say it out loud in a theater, a superstition reaching back to the early days of performing. Forest Grove High School's theater department is taking on the Shakespearean drama Jan. 18, Jan. 19 and Jan. 25 at 7 p.m. and Jan. 26 at 2 p.m. Ticket prices: Cost for adult tickets are $12, senior and students are $10. Group rates available upon request. How to buy tickets: Tickets can be purchased 30 minutes before the show at the box office. • "How to Succeed In Business Without Really Trying" is a Broadway hit from the 1960s, winning countless awards, including a Pulitzer Prize for Drama. This quintessential musical explores a rags-to-riches story and taps into the American Dream. Hillsboro High begins its performances of the classic on Feb. 28 with following performances on March 1, March 2, March 6, March 8 and March 9 at 7:30 p.m. Ticket prices: General admission is $10, and students/seniors/teachers are $8. How to buy tickets: Visit hilhitheatre.tickeyleap.com.